Chairman of Kingston Wharves Ltd (KWL), Jeffrey Hall, has expressed confidence that operating profit at the Wharves will continue on an upward trajectory, as the company puts finishing touches on the total logistics facility and the KWL Global Automotive Logistics Centre. Both are expected to be operational by KWL financial year end December 2017. Last year, the company announced that it had invested US$15 million in the state-of-the-art logistics complex, which was anticipated to have been completed by May 2017. 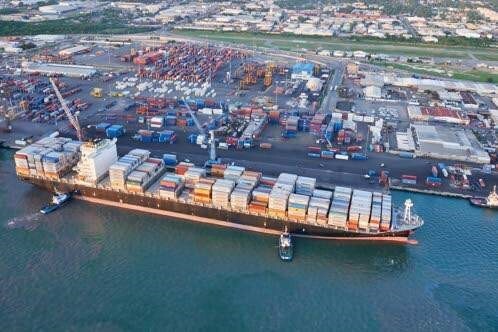 KWL noted that the operationalisation of the facility would make businesses and householders who normally spend up to a day or longer to clear containers and barrels with personal effects from the port in Kingston, able to do so within a few hours. In addition, the logistics centre will facilitate domestic motor vehicle imports which have increased by approximately 36 per cent since 2015, according to KWL. The new facility is expected to be a one stop centre which offers opportunities for global logistics; warehousing of parts, tyres and other motor vehicle accessories; as well as the efficient storage and delivery of services to the domestic market. “Kingston Wharves Limited maintains a positive outlook for both its Terminal Operations Division and its Logistics and Ancillary Services Division,” Hall said in adjoining remarks to shareholders in KWL’s September 2017 financial statements. “During the quarter, KWL distinguished itself on the basis of its service levels. The business takes seriously its role as a service provider to the full range of industrial, manufacturing, distributive and service sectors in Jamaica and across the region who depend on international trade,” he continued. KWL’s Terminal Operations Division achieved revenues of $3.5 billion, an increase of 18 per cent year-on-year. Divisional operating profits increased by 48 per cent from $766 million to $1,130 million. Total revenues earned in the Logistics and Ancillary Services Division amounted to $997 million, with operating profits totalling $310 million, an increase of 13 per cent and four per cent respectively, over the corresponding period of the prior year. According to Hall, the growth came from increased domestic, containerised cargo and domestic and trans-shipment moves of other cargo types, including automotive, bulk and break bulk cargo. “We now have an established track record for working closely with carriers as well as users of the cargo to tailor our land space, equipment, berths, warehousing, security systems and human resources to meet their needs. This flexible approach and heightened attention to service levels will continue,” he promised. 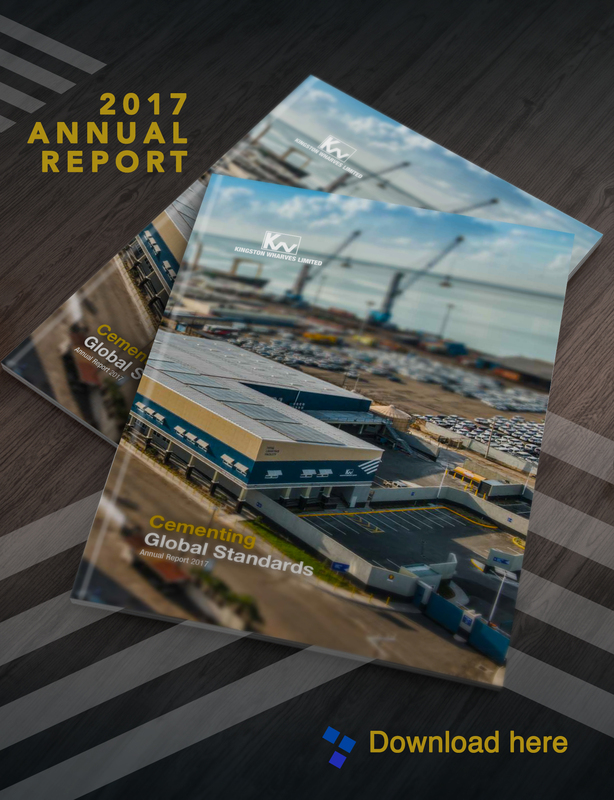 Kingston Wharves Ltd achieved revenues of $4.5 billion for the nine months ended September 30, 2017, a 17 per cent or $667-million increase over the corresponding period in 2016. Profit before taxation increased from $1,011 million in 2016 to $1,348 million in 2017, representing growth of 33 per cent. Net profit attributable to shareholders increased by 36 per cent or $315 million, that is, from $865 million to $1,180 million over the relative period in 2016. Accordingly, earnings per stock unit as at September 30, 2017 grew to 82.49 cents over 2016: 60.51 cents.